To eliminate duplicate positions, it was decided to place products for a wide or indefinite list of prototypes of domestic armored vehicles in a separate catalog. Information about antennas, active armor, smoke grenades and a number of others has been transferred here. The catalog will be replenished in working order, it will itself be a source of the formation of subsequent kithographs in pdf-format, but it will not have its own separate edition. Almost 3 years have passed since the publication of the first version of this kitografii. Second version is considerably reduced. Information about the figures of Soviet/Russian tankers has been removed, because it was created as a separate publication. Nearly 20 pages of reference material previously posted at the end have been demolished. However, the “book” swelled on the same 20 pages. The number of represented firms and products increased one and a half times, up to 141 first and up to 800 second. 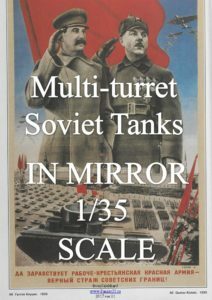 I present to you the sixth edition of the series “In the mirror 1/35 scale”. It again differs from previous issues, although devoted to military topics, but this time the representative of the German military equipment. This tank Russian designer Iranian customers and Czech manufacturers. These tanks fought in Poland and France, made up a third of the tanks invading the USSR. 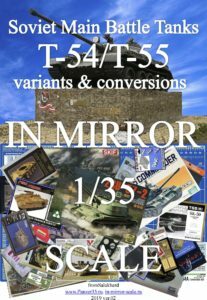 I present to you the fifth edition of the series “In the mirror 1/35 scale”. It’s subject matter is unique: it is not a technique or people. This is not a military topic at all. 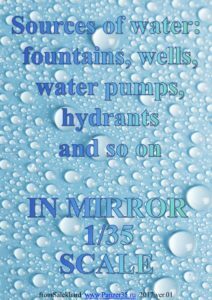 For fans of dioramas, I gathered information on models of fountains, wells, water pumps and fire hydrants, combining them under a general name: water sources. 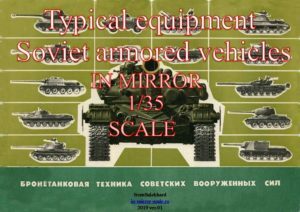 Нou are invited to issue another catalog, dedicated, this time, to the Soviet heavy tanks “Joseph Stalin” and the machines based on them. 77 pages on which information about almost 350 products of 94 firms is posted. As always, the material was formed at the Panzer35 forum with the active participation of colleagues. For which they all my greatest gratitude. 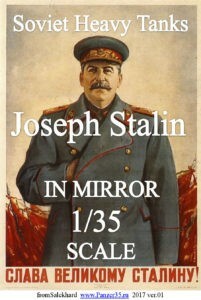 I present to you the third edition of the series “In the mirror 1/35 scale”. Unlike the previous two, it is not dedicated to machines, but to people. 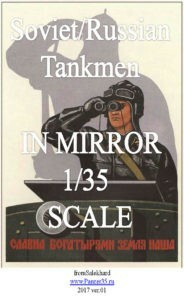 Namely the figures of Soviet and Russian tankmen. The review does not include tank troop figures, for in fact they are infantry. It is possible, someday in the future, they will be added. As before, the material was formed at the Panzer35 forum with the participation of colleagues. In the future, I’m planning to return to miniatures several times. 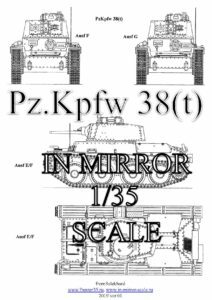 I present to you the second publication of the series “In the mirror 1/35 scale”. As the name suggests, the publication focuses on multi-turret Soviet tanks: the passion of military the first third of the last century the symbols of power of the Soviet state. The items have been combined, as their selection is poor, despite a whole range of new products. The materials were developed on Panzer35 forum with active contribution of colleagues. It’s them who made it possible to extend the range with rare resin kits .